Please help the Swedish airsoft community in legalizing gas-powered airsoft replicas! I would like to ask you for your help and support. As of current gas-powered airsoft replicas are technically illegal in Sweden due to the way the law is worded. I am trying to spread awareness and collect signatures for our petition. Please visit http://www.swegaslegal2013.info/ for more information. With what I know of your climate, being generally colder than ours, you're probably better off pretending gas guns of any kind don't exist lol. Good luck with it though, I'm sure a few people on here will do what they can to support you. Having now read it, I've got to say that those percentile figures at the start have got to be made up, no? Gas guns make up 90% of the market? With 30-40% being gas blow backs? I get that you're trying to sell it as a profitable alteration, but that's just not the case. Perhaps you assume everywhere else uses gas guns a lot because they're legal here? 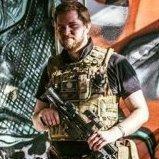 The truth is about 10% of all the airsofters in the UK use gas rifles, probably less than that in fact, around half probably have some sort of gas pistol as a back up or a sidearm, but through the winter period they're largely useless and only very few people use them enough for anyone to really need to own one. What about AEGs and spring snipers? I'd have said AEGs made up at least 70% of the market, probably closer to 90% or even higher. With spring snipers, gas rifles and general GBB pistols all being a part of the remaining figure. I think of it as AEGs being something that just about everyone will have, then a few people will ALSO have gas rifles/pistols/spring snipers to cope with colder/warmer weather, or mix up the play style a bit. Sure you're missing out by not having gas guns, but once you've got them you'll probably find no one will ever use them anyway if you're all used to using CO2 alternatives. CO2 is largely banned over here because it's far more powerful, for you lot to make the transition from CO2 to green gas is going to be like someone used to firing a .22LR Rimfire rifle having to make the shift to a sub 12ft/lb break-barrel air rifle with reliability problems. But, I still wish you luck with the campaign. I hear what you are saying, but no. The Swedish airsofters are very big fans of realism, and milsim, of which gas powered replicas play a big role. Almost anyone and everyone who playes airsoft has at least one gas-powered replica in their arsenal, be it primary side-arm, primary system, grenade launcher or fun-SMG gun. The market is huge and the demand is huge. I say that it is "technically" illegal because GBBs do exist and are in use, fairly wide spread, but importing them and enjoying the full awesomeness of what is GBB and GBBRs is hard here. As for the market shares, perhaps I see it from a different light being a GBB/GBBR afficionado, those numbers are guesstimates at best but I felt I had to put something in to show how much we are losing out. EDIT: It is in referense to the "gas blow back" segment, where gas-powered airsofts account for 90%, and CO2 for 10%. And 30-40% are for the gas blow back segment in general vs. AEG and spring powered. Maybe I see it differently there, but I had to put something in. And it is in referense to models on the market and not what is actually in use ! There are times for both gas and CO2, we just need the option and variety of models. And as you say, having CO2 be legal, which is more powerful, and then gas to be illegal, it makes no sense. I hope I cleared that up a little bit! More GBBs to the people ! Breaking news! We just reached our initial goal of 1000 signatures! Took just under 72 hours. But why stop now ? I'm going to leave the petition open to run until the question is actually resolved, so keep the names coming! I have just recieved a reply from a representative from the Department of Justice where they acknowledge that they have taken part of the information we have sent them, and they are starting to process the question (for real). I also have established direct contact with this representative to continue the dialog onwards. By the way you accidentally put the American flag where it says 'English' on choose your language. Just wanted to check back in with you to let you know that I have gotten official confirmation that the law has been accepted and will be implemented/valid starting as of January 2nd of 2015. From that date gas-powered airsoft replicas will be legal in Sweden. A big thank you to everyone who helped us out and showed support. Now wait just one minute? Swedish government listens to its people?